Between 2008 and 2009, regional employers shed almost 20,000 jobs. The economic downturn, continued into 2010, left large numbers of residents unemployed and unable to find new work. 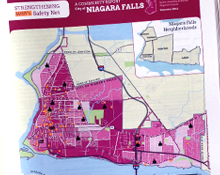 While the majority of those in poverty live in urban areas like Buffalo and Niagara Falls, families in the region’s suburbs have experienced the biggest increase in poverty. 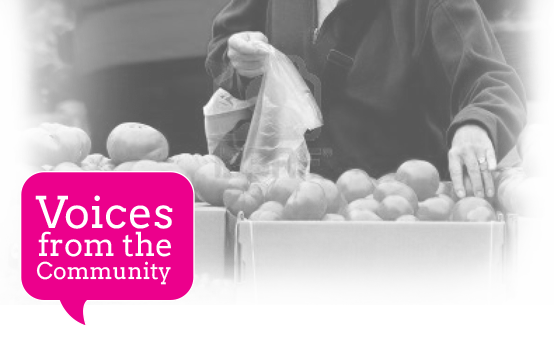 One out of three with incomes below poverty now live outside urban areas where support services such as emergency food, housing and employment training are concentrated. Meanwhile, service providers are being challenged to expand capacity, improve access and generate additional revenues for expanded services, while dealing with funding cuts. 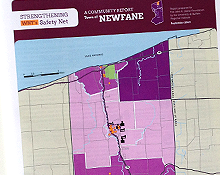 To strengthen the safety net in communities where residents are struggling the most, The John R. Oishei Foundation created the Mobile Safety-Net Team Initiative in 2009 to go into communities in Erie and Niagara Counties to assess how the downturn in the economy is impacting residents, help connect residents with services, and build relationships with service providers. 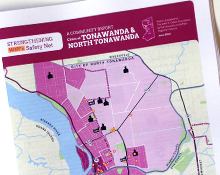 In 2012, twelve representative communities were selected for additional assessment and investment as part of the Mobile Safety-Net Team initiative, which included the team’s partnership with the University at Buffalo Regional Institute. 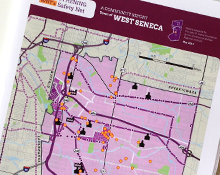 This research was designed to gather additional insights from residents, conduct focus groups, hear from organizations and develop a tool that will assist foundations and communities in strengthening the safety net of services. 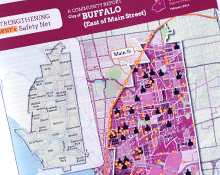 The in-depth analysis and recommendations in the reports are grounded in this research conducted by the University at Buffalo Regional Institute and the Mobile Safety-Net Team and are intended to spur thought in the community about opportunities to create a stronger human services safety-net. 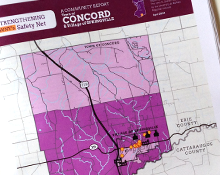 The reports connected people and places, to give context for the network’s strengths and weaknesses in serving vulnerable populations. 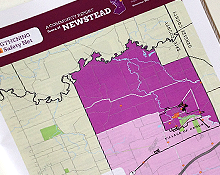 Exploring the people in need includes factors relating to individuals and families, work, income, poverty and education that may put residents at risk. 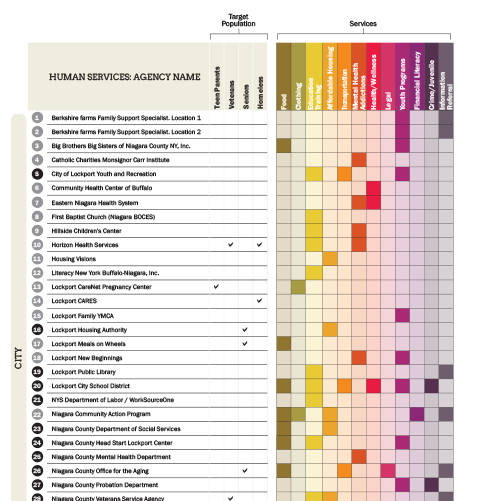 There was a special look at the most vulnerable including demographics, human service needs and barriers they experience to getting support services. Finally, the place was examined with a lens including indicators of high housing costs, transportation barriers and crime. 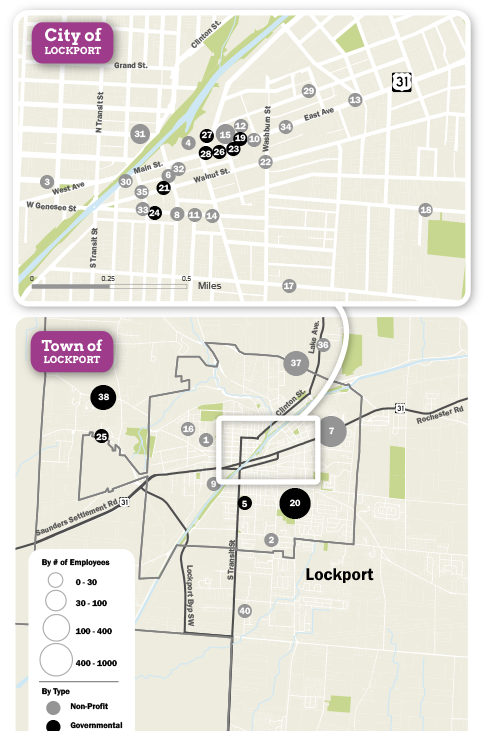 Maps demonstrate where service providers are located in relation to the populations they serve to assess the match between services and needs in each community, as well as understanding accessibility of the location. 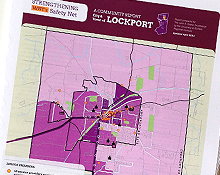 The analysis includes the strengths of the human services system, gaps in services, barriers to connecting with residents and promising developments. The research incorporated stories of real individuals in communities who agreed to talk with us and share some of their personal accounts. We asked them about the challenges they face, about the services and supports that have been helpful, barriers and their goals for the future. Through these individuals, this study’s findings are humanized, and a clearer picture emerges as to the interconnectedness of issues. We also looked at best practices from across the country to develop recommendations and strategies for strengthening the landscape of services. 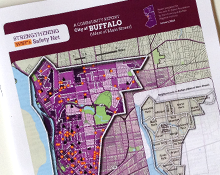 In addition to mapping where services are located, UBRI looked at the size of the agency providers, whether the entity is non-profit or government run, the target populations they serve, and the types of services they provide- all to establish the landscape of services within a community to identify gaps and opportunities in the safety net.